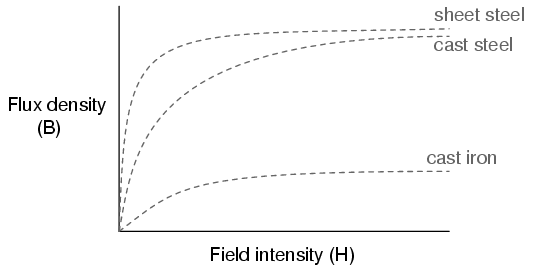 The nonlinearity of material permeability may be graphed for better understanding. 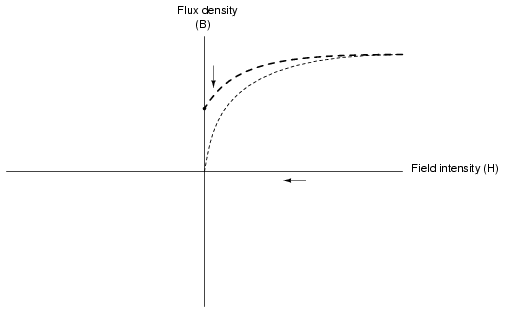 We'll place the quantity of field intensity (H), equal to field force (mmf) divided by the length of the material, on the horizontal axis of the graph. 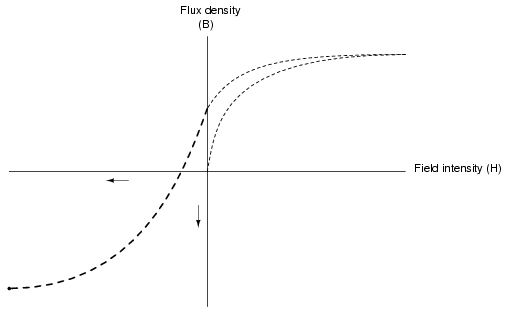 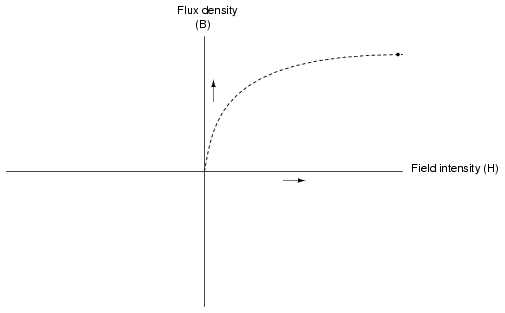 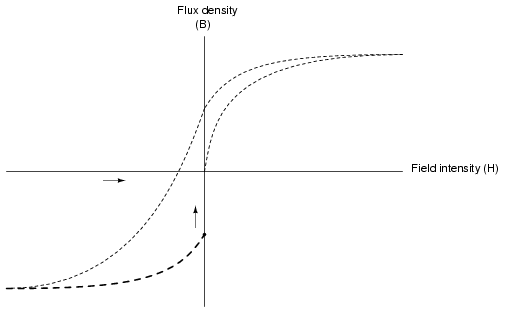 On the vertical axis, we'll place the quantity of flux density (B), equal to total flux divided by the cross-sectional area of the material. 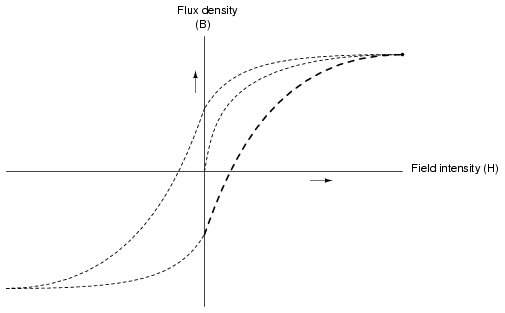 We will use the quantities of field intensity (H) and flux density (B) instead of field force (mmf) and total flux (Φ) so that the shape of our graph remains independent of the physical dimensions of our test material. 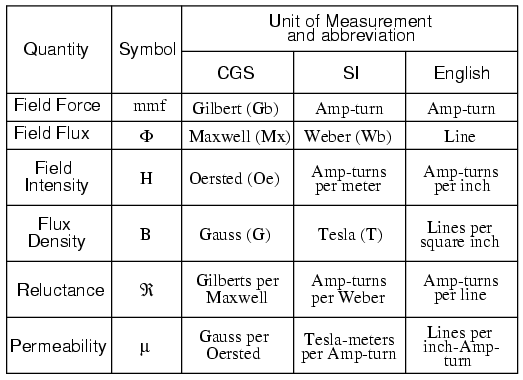 What we're trying to do here is show a mathematical relationship between field force and flux for any chunk of a particular substance, in the same spirit as describing a material's specific resistance in ohm-cmil/ft instead of its actual resistance in ohms. 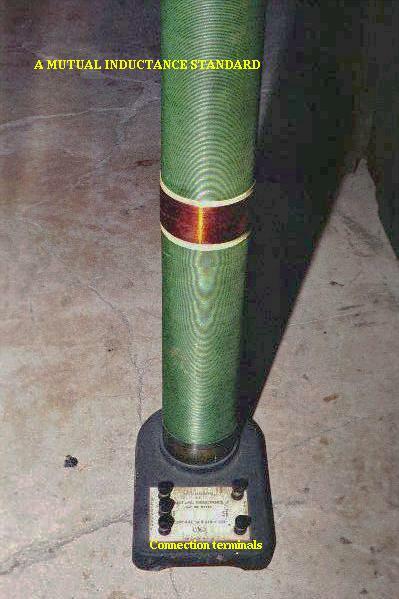 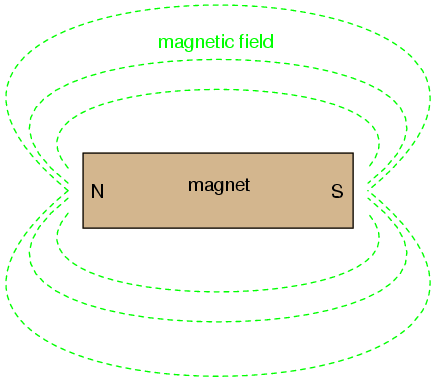 Another quirk to confound our analysis of magnetic flux versus force is the phenomenon of magnetic hysteresis. 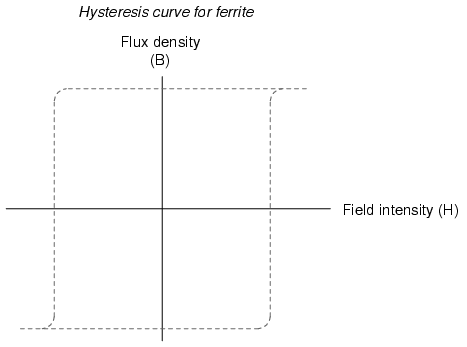 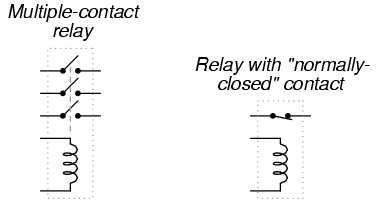 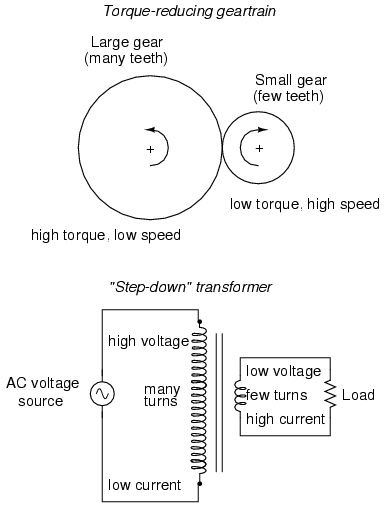 As a general term, hysteresis means a lag between input and output in a system upon a change in direction. 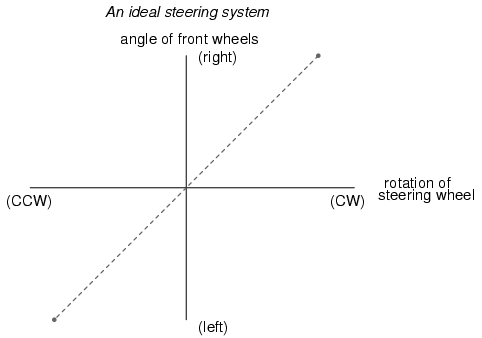 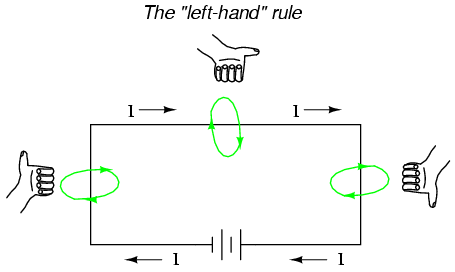 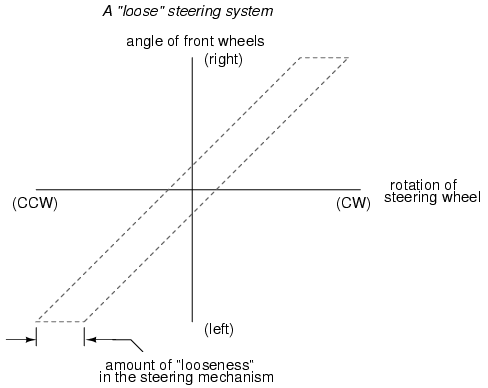 Anyone who's ever driven an old automobile with "loose" steering knows what hysteresis is: to change from turning left to turning right (or vice versa), you have to rotate the steering wheel an additional amount to overcome the built-in "lag" in the mechanical linkage system between the steering wheel and the front wheels of the car. 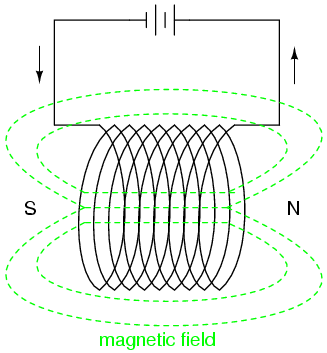 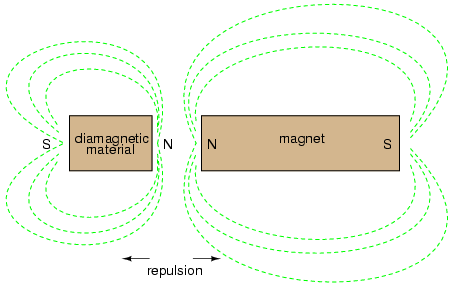 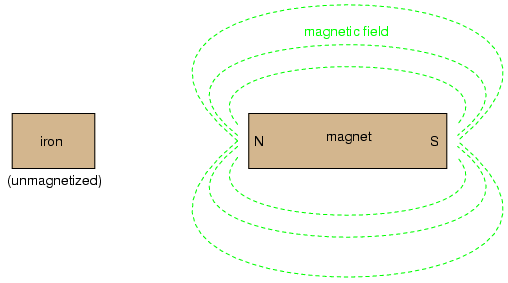 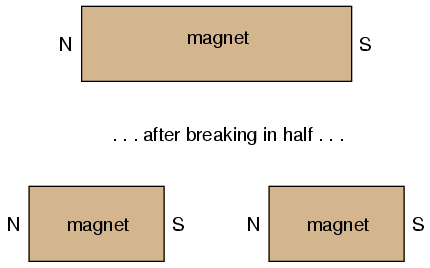 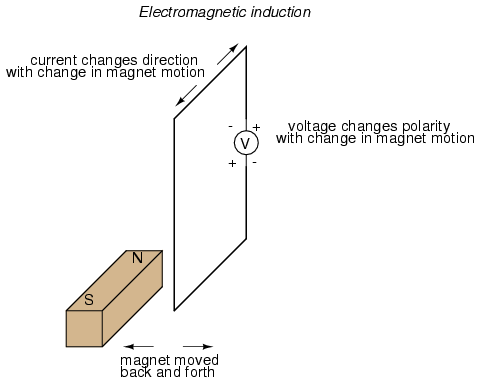 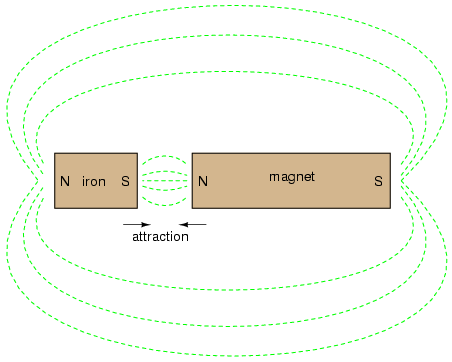 In a magnetic system, hysteresis is seen in a ferromagnetic material that tends to stay magnetized after an applied field force has been removed (see "retentivity" in the first section of this chapter), if the force is reversed in polarity.